I look forward to assisting you on your journey towards a life filled with higher levels of health and vitality! After receiving multiple sports injuries in high school and getting such great results from chiropractic care as a teenager, Dr. Hanopole set his sights on becoming a chiropractor. This dream was sidetracked, however, as he initially chose to pursue a different noble career path. For him though, that path simply didn’t fulfill a higher sense of purpose. 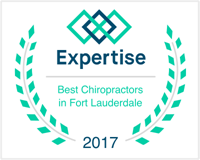 Dr. Hanopole attended both the University of Maryland and Life College of Chiropractic in Georgia, graduating as a chiropractor. He’s also Manipulation Under Anesthesia (MUA) certified through Texas Chiropractic College. Each year, his staff attends various seminars to keep up with the latest research and newest developments in the chiropractic profession. Dr. Hanopole often sees those suffering from ailments such as knee injuries, shoulder injuries, rotator cuff injuries, elbow injuries, wrist and hand issues, carpal tunnel syndrome, foot pain, jaw pain and plantar fasciitis. Dr. Hanopole enjoys spending as much time as possible with his wife, Stacey, and their two children, Kaylee and Jake. His family enjoys an active South Florida lifestyle embracing the gym, running, biking and long walks on the beaches. His family also receives periodic chiropractic check-ups for a healthy, wellness-based lifestyle.